Pumpkin Fine Cars and Exotics: Price Drop!! Prices are falling here at Pumpkin Fine Cars! Look at this black on tan beauty. 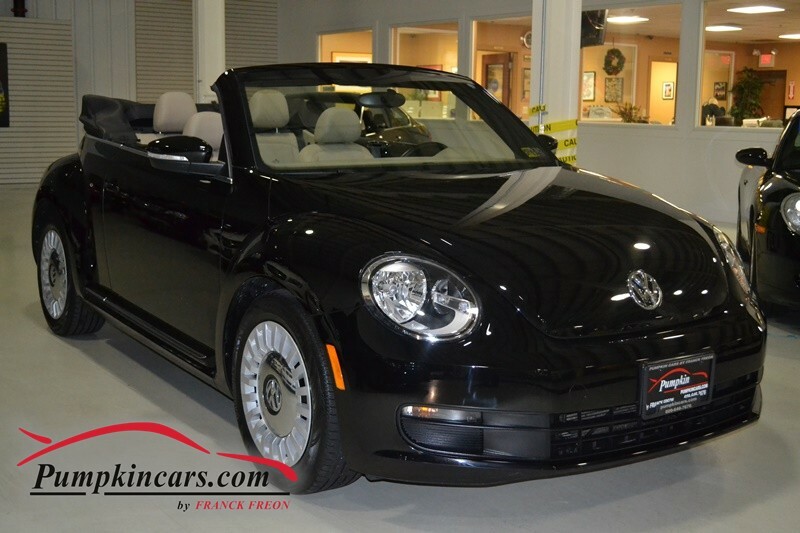 This convertible is now $16,995. perfect price for this hot summer we have in store for South Jersey! BEST BLACK ON TAN COLOR COMBO WITH TAN TOP ** POWER CONVERTIBLE ** FACTORY WARRANTY UNTIL 10/18/2018 ** ASK US ABOUT EXTENDED WARRANTY COVERAGE **CLEAN VEHICLE HISTORY REPORT ** IN DEMAND KEYLESS ACCESS W/ PUSH BUTTON START**PREMIUM VIII TOUCHSCREEN RADIO, SIRIUS XM SATELLITE RADIO, HEATED SEATS, BLUETOOTH with audio streaming** 8-speaker fender sound system with MP3 & WMAcompatible in-dash CD player** USB/AUX, MEDIA DEVICE INTERFACE W/ IPOD CABLE, AM/FM RADIO, SPLIT FOLDING REAR SEAT, MULTIFUNCTION STEERING WHEEL, HEATED MIRRORS**17" Alloy Wheels w/ All-Season Tires**Black Uni Exterior w/ Beige V-Tex leatherette Interior** body color running boards** 5-Cyl, 2.5L Engine**Daytime Running Headlights, High-line Trip Computer** AMBIENT LIGHTING** Front Center Console w/ Armrest & Cupholders, Height Adjustable Seats w/ Lumbar, Cruise Control, Telescoping Wheel, Power Locks, Power Mirrors, Power Windows, Electronic Stability Control (ESC), Anti-lock Braking System (ABS), Anti-Slip Regulation (ASR),Tire Pressure Monitoring System (TPMS), Electronic Brake Force Distribution (EBD), Dual Front & Side Airbags, Side Impact Protection Door Beams and SO MUCH MORE! !